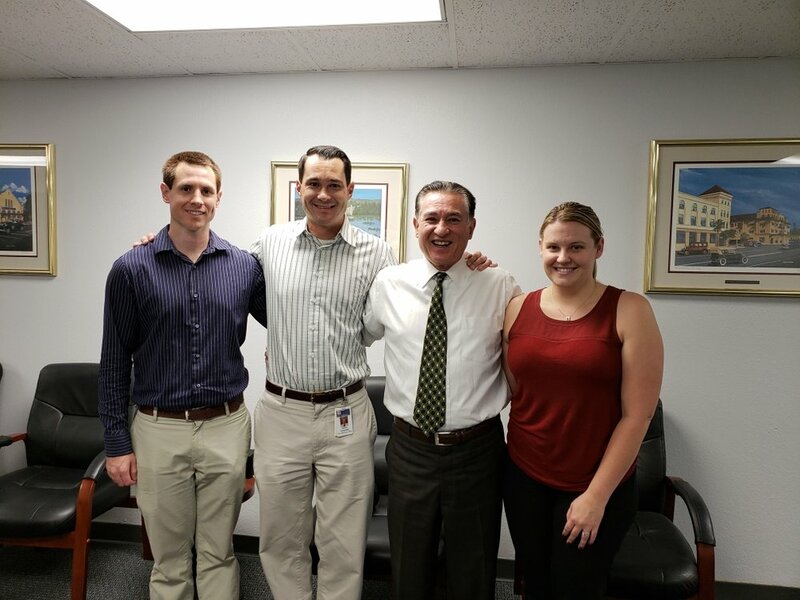 From mid-November 2018 to the present, members participated as Money Elves for The Elves Program, a program of Riverside County Bar Foundation, Inc., the 501(c)(3) charitable arm of Riverside County Bar Association (RCBA). All Inn members are required to be members of RCBA and MCLE credits at Inn meetings are provided by RCBA. Money Elves provide the funds utilized by The Elves Program to shop for gifts requested by needy families in Riverside County. The Elves Program was able to assist sixty-nine (69) families in Riverside County with the assistance of Leo A. Deegan Inn of Court’s generous members, including, but not limited to Hon. Meredith Jury (Ret. ), Diana Renteria, Stefanie Field (Gresham & Savage) Megan Demshki (Aitken Aitken Cohn), and Rabia Chaudhry (Varner & Brandt). 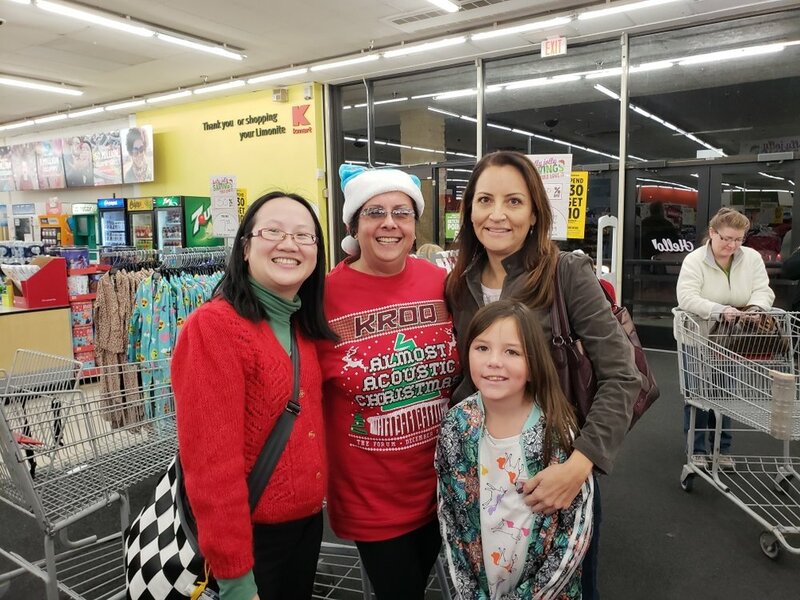 On December 10, 2018, members participated as Shopping Elves and met at the K-Mart, located at 7840 Limonite Avenue, Riverside, California, beginning at 5:00 p.m. Each Shopping Elf was provided a shopping list for a family chosen by former RCBA president and Head Elf, Brian Pearcy and a set amount of funds to fulfill the shopping lists of the family. At least sixty families were assisted and, depending on how quickly each elf shopped, they could shop for multiple families. Inn President L. Alexandra Fong and Inn members Diana Renteria and Erica Alfaro (with her family) were spotted shopping. Additional members may have also been present but as each elf came at different times, it was difficult to find them all. Inn member Erica Alfaro and family checks in and receives their shopping list. On December 12, 2018 and December 13, 2018, members participated as Wrapping Elves and met at RCBA’s building, located at 4129 Main Street, Riverside, California, beginning at 4:00 p.m.
Inn President L. Alexandra Fong and Inn members Aaron Chandler (with his family), Megan Demshki, Rabia Chaudhry, Erica Alfaro, and Goushia Farook were spotted wrapping gifts. Additional members may have also been present, but as each elf came at different times and there were multiple rooms in which gifts were wrapped, it was hard to spot them all. Inn member Aaron Chandler (second from left) with his family. Inn members Megan Demshki, Goushia Farook, and Erica Alfaro (second, third and fourth from left) with their friends. Inn member Rabia Chaudhry (right) takes a break from wrapping gifts to pose for a picture. On December 13, 2018, Varner & Brandt LLP, the law firm where Inn member Rabia Chaudhry is employed as an associate attorney, announced that, in coordination with the Inn of Court, RCBA Foundation and the RCBA Barristers, Varner & Brandt LLP and Stater Bros. Markets teamed up to donate all the Stater Bros. gifts cards that were typically purchased by the RCBA Foundation in previous years to help the families with Christmas dinner! These efforts assisted in the RCBA Foundation sponsoring a record number of families this year than in the past. The Leo A. Deegan Inn of Court members enjoyed spreading holiday cheer in December 2018.